This may be Kari Elliott's first year at Kelso Elementary, but it certainly isn't her first as a school counselor. 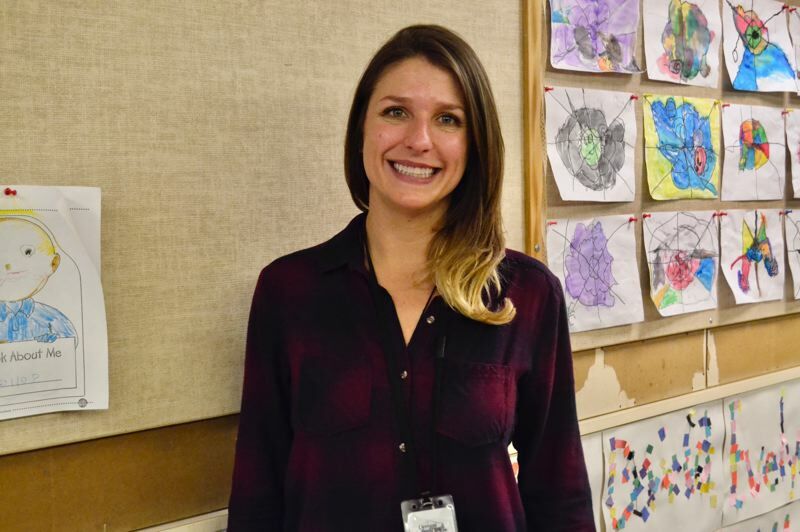 Aside from a three-year stint in Maui, Hawaii, Elliott has spent eight of her 10 years counseling in the Oregon Trail School District. Elliott's roots are in Clackamas County, where she grew up in Happy Valley. "This feels like home to me," Elliott said. "I like that this is a small-town community." Elliott, though she loves the Sandy community, admits that the rural aspect of the area creates certain challenges. "We're really rural, so we don't have access to some of the same things as big city schools do," she noted. Poverty and financial stress are two major factors at play in the Oregon Trail district, and sometimes those affect student success. "The impact of our society on families trickles down to the kids, so sometimes we kind of have to step in. The stressors on the families impact our kids." The reward of counseling in an elementary school setting for Elliott is having the opportunity to address the issues hindering children's education and "problem solve." "The kids (make it rewarding)," she added. "The hugs, the love and the excitement. There's nothing like seeing that change, that difference you're making. To be that loving adult in their lives when some of them need that." As a child, Elliott expected she'd utilize her passion for helping as a veterinarian. It wasn't until her undergraduate days that she figured out she wanted to help people — more specifically, children. "I just always knew I wanted to work with kids," Elliott said. "It's like this job was made for me." Elliott received her bachelor's degree in psychology with a minor in sociology from Oregon State University and Portland State University and her master's degree in school counseling from Lewis and Clark College. When she's not at school, Elliott loves to "spend a lot of time with my nieces and nephews" in her role as "auntie." She also was recently married and enjoys traveling with her husband.